The Art Gallery of Greater Victoria is delighted to present Fiona Tan’s Ascent (exhibition opens on Feb 16). 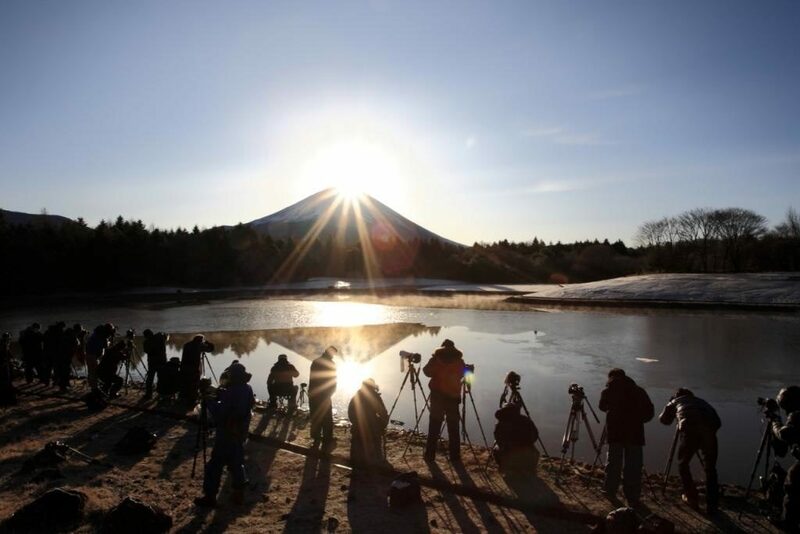 The montage film is entirely made up of still photographic images depicting one of Japan’s most recognizable landmarks, Mount Fuji. 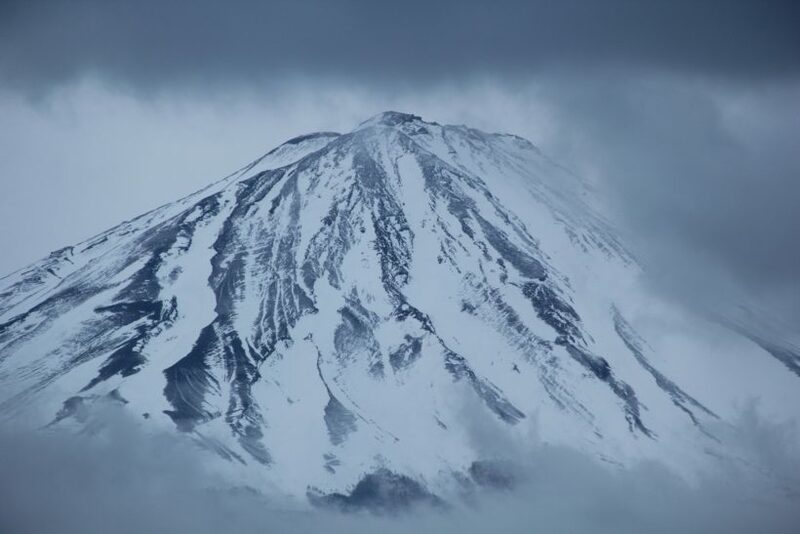 Commissioned by the Izu Photo Museum, Japan, the film and accompanying photo installation are a study of the significance of Mount Fuji in Japanese visual culture. The fictional narration alternates between a fictional love story and history, from Western Imperialism to modern tourism. The installation locates a unique realm where the relationship between photography and film come together. How did the idea of making a film entirely out of still images come about? How did the love story component of the film come about? The film covers a long time period in Japanese history, from the Edo period around the 17th century, to the Second World War and to the present. It also takes into account the history of photography and the development of film-making. How did you embark on such an extensive research process? 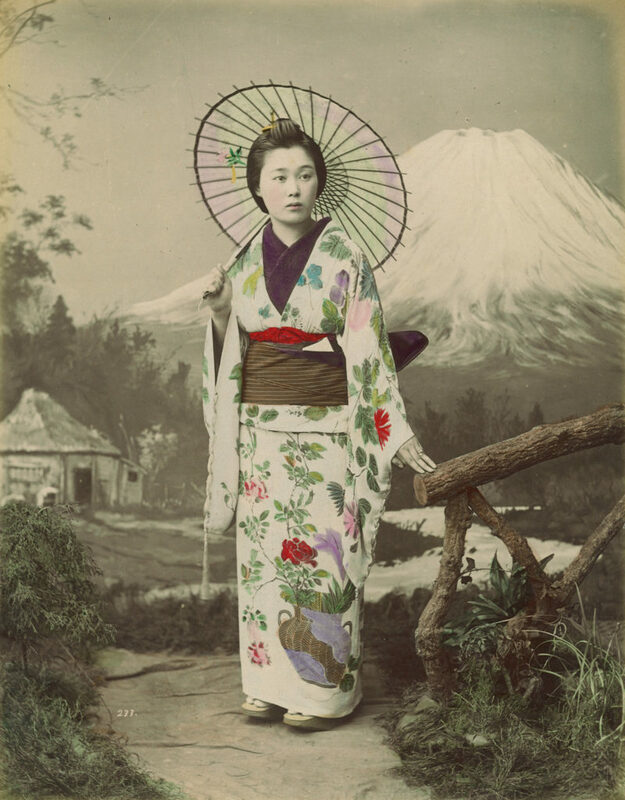 Did you use all the images you were sent from the Izu Photo Museum? There must have been many repetitions of the same view of Mt. Fuji. Did you have in mind categories of images you were hoping to get? Were there any music, literature texts or images in particular that provided inspiration? All image credits: Fiona Tan, Ascent (2016), video still. Courtesy the artist and Frith Street Gallery, London and Wako Works of Art, Tokyo.